Meeting the needs of healthcare professionals. Sarlon Sparkling has been developed with user health in mind. 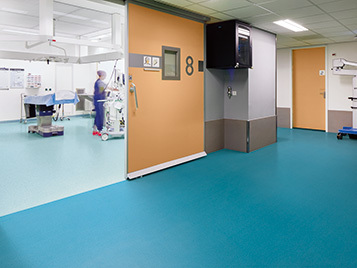 This anti-bacterial easy to clean flooring ensures every day protection in your healthcare environment. It is durable, stain resistant and extremely dimensional stable. 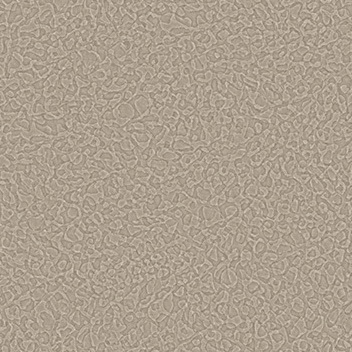 And, this acoustic vinyl flooring offers 15dB impact sound reduction in a timeless harmonious colour palette. 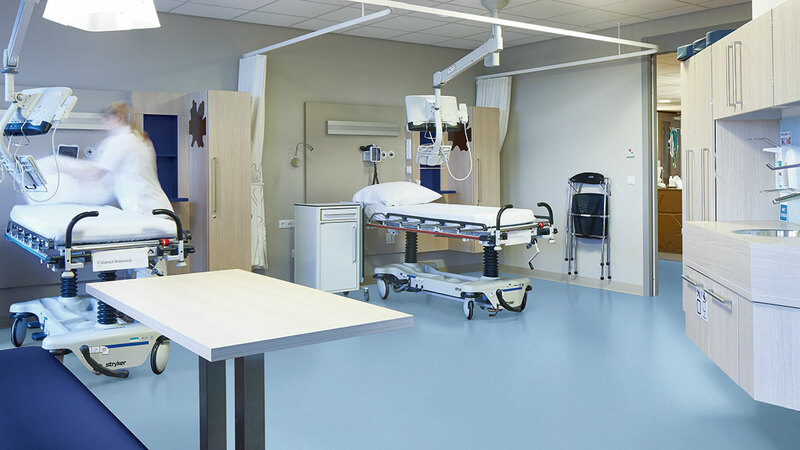 An excellent healthcare flooring choice! 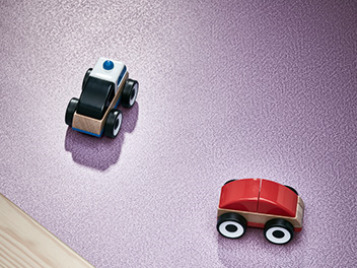 This 15dB compact PVC flooring has been developed with user health in mind. 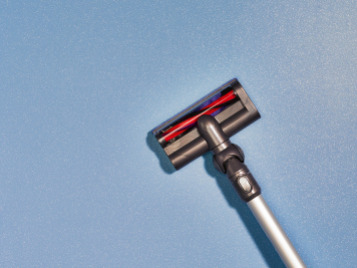 Sarlon Sparkling is an easy to clean and hygienic floor covering thanks to its antibacterial properties and unrivalled resistance to betadine and eosin. 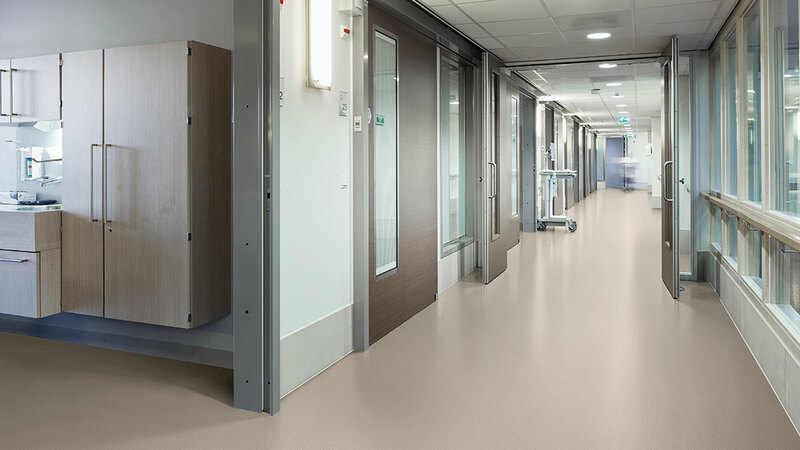 Hospital staff and patients will benefit from the good rolling resistance, the underfoot comfort and the acoustic comfort properties. 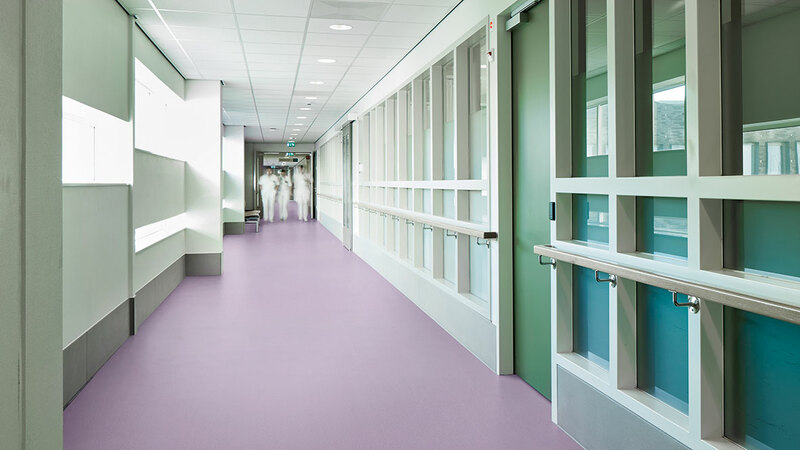 Forbo Sarlon Sparkling is the flooring choice for the healthcare segment. 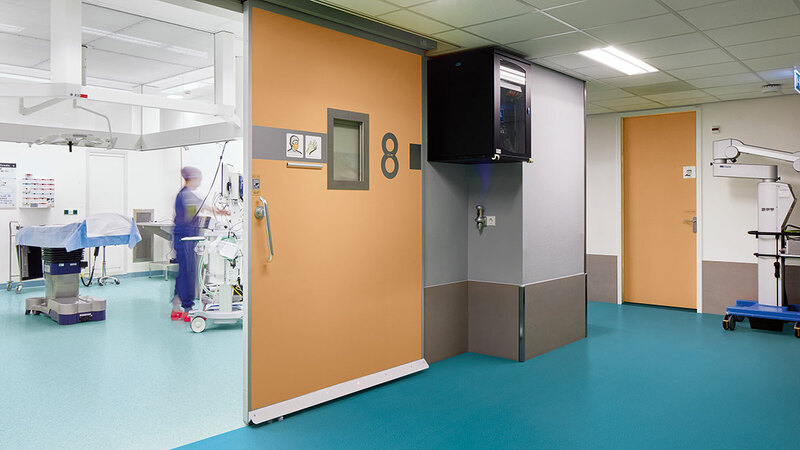 The timeless designs offer an harmonious colour palette and the special properties of this vinyl sheet flooring create a safe hygienic environment. ● Designed in combination with Sphera Element and other colour ranges. From how they are made to how they perform, we make sustainable floors that are good for people, good for buildings and good for the environment.